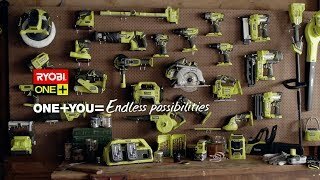 It doesn't matter if you're an experienced handyman or just starting out - this Ryobi 5 piece combo kit has everything you need. From woodworking projects to general jobs around the home, this handy kit has you covered. Not only does this kit make sure you have the essential power tools on hand, but it also offers additional versatility through the ONE+ system. This means that every skin is compatible with one universal battery. Forget about buying a new battery with every tool! There are more than 70 tools available in this range, so if you decide you want to build on this kit, it's easy to do so. This Ryobi 5 piece combo kit is the superior solution for the home handyman wanting professional-quality tools.